Cold Steel’s German Longsword is a high-end, high performance sword for serious users and collectors. A modern interpretation taking its inspiration from historical examples, it has an expertly heat treated and spring tempered 1060 steel blade that is exquisitely balanced, beautifully polished and hand-honed to a keen edge. 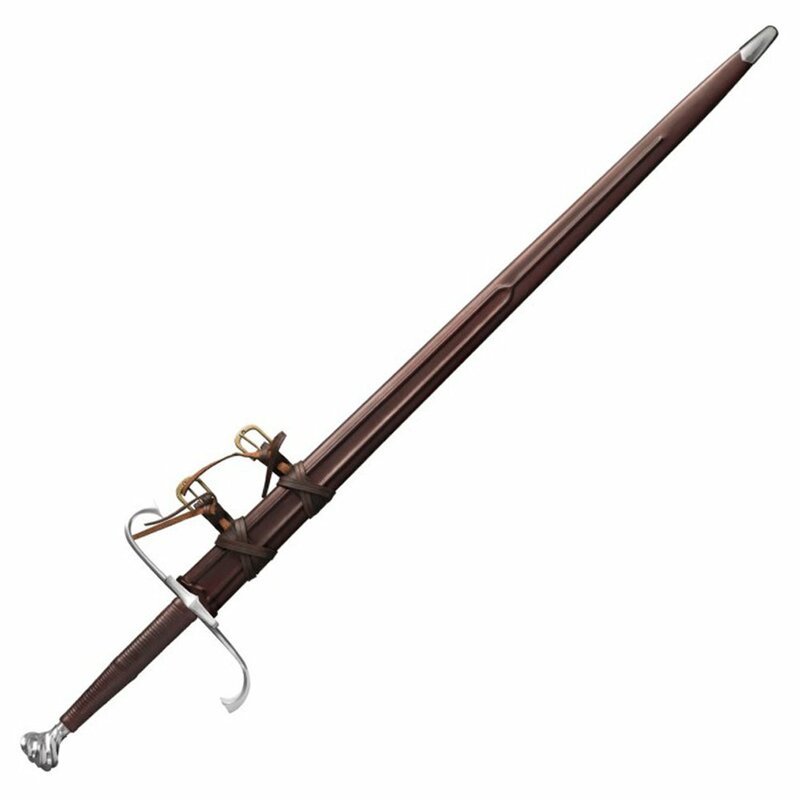 A large S-guard and protective side ring offer significant hand protection while being capable of performing the binding, trapping, and winding techniques that made the German Sword Masters art so effective! A wrapped leather grip terminates in a heavy steel pommel that not only counter balances the long blade but serves as a potent weapon in its own right. 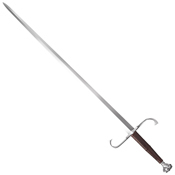 The twisting spiral design on the pommel is more than just a good looking decorative feature; it also provides a comfortable and secure grip even in gloved or gauntleted hands. Finally, the German Longsword is encased in a thick ridged, hand-stitched leather scabbard with an antiqued steel chape and brass buckled leather straps for wearing your sword on a belt or baldric.